Living just outside of Munich, and especially with my new commute, I see pre-production BMWs on a daily basis. In full camo! No matter what it is. 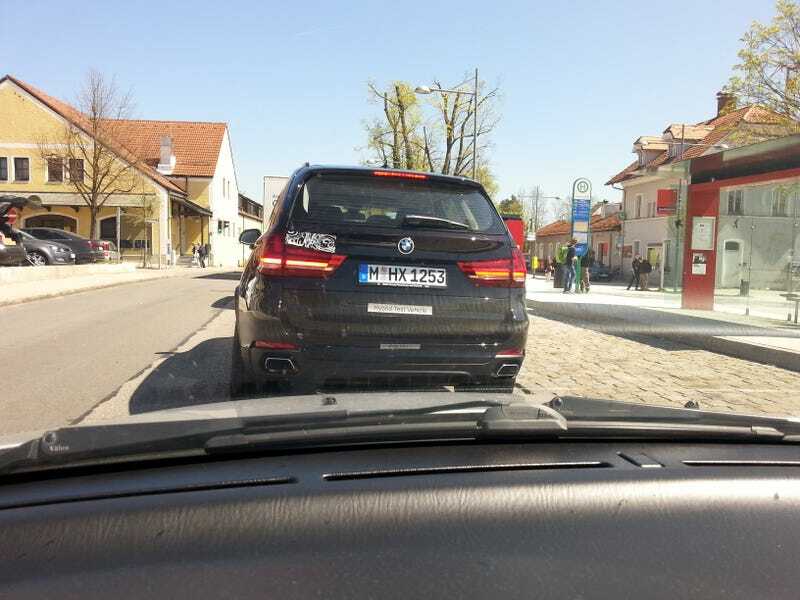 This X5 sports a “Hybrid Test Vehicle” sticker (very common, not sure if true) at the back and a WTF????? attempt at camo vinyls. Did they get bored a minute in, or did their shift end and they never finished it? Why even start if you only manage to go this far?